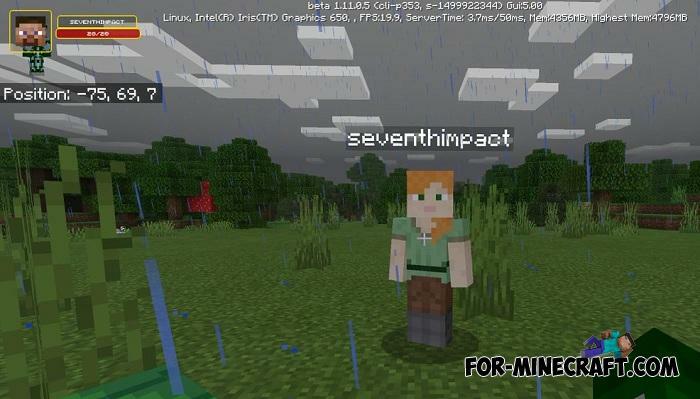 In addition to new villagers and other village features, Mojang introduced new scripting features for addon makers. Now addons for MCPE 1.11 have a wider list of features compared to addons from versions 1.9 and older. As you can see, this is the real Damage Indicator that allows you to see the health of a creature in real time. In the past, a similar indicator was implemented using BL modding, but now it works fine without additional software. You simply install the addon and do not even think about compatibility and display problems. The main thing that you have to play Minecraft Bedrock 1.11 or 1.10 release, past updates are not suitable. The great advantage is that the Damage Indicator Addon looks great on any screen and can work on servers, which was not possible with mods. 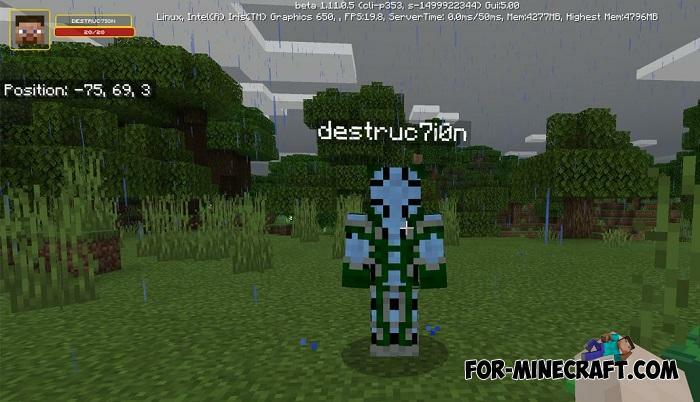 Like the original indicator, this one performs the same tasks: displaying the mobs name and its health. You just point the crosshair at the creature and the addon will show you how much health it has left. How to install the Damage Indicator Addon?